I have recently read an interesting article on Probation periods. I was long thought that they were a set period, but this is not true. 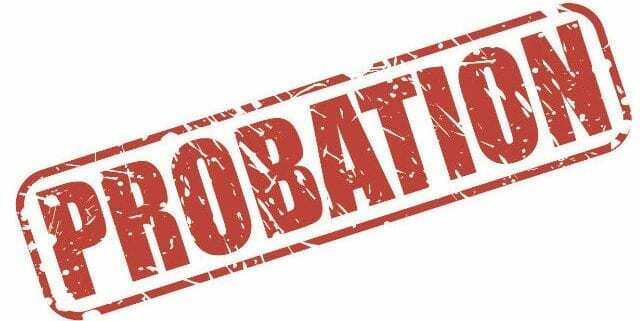 There are no set rules for the period that a probation period may apply, however, many employers set the probation period at six months as this generally allows both parties sufficient time to assess each other and decide on whether the relationship should continue. During this time either party may terminate the employment relationship with minimal or no notice depending on the conditions of the employment contact, agreement or Modern Award. Six months continuous service is also the minimum trigger point for access to unfair dismissal provisions of the Fair Work Act 2009 (12 months service for businesses with less than 15 employees). The article went on the further discuss induction process and the relevance in ensuring that the staff member know what is expected during their probationary period along with a relevant job description and copies of relevant workplace policies, procedures and manuals. Inform the new employee that they are on probation and that their performance will be closely monitored and assessed. If they have any queries/problems associated with performing their role what process to follow to gain assistance and/or training. Regular performance feedback sessions will be held to assess the new employee and allow them to raise any concerns that they may have regarding their duties. Specific time periods should be set for these feedback sessions and agreed and confirmed by both parties e.g. weekly, monthly or three monthly. The employee should be informed that if their performance falls below the required level during the probation period they will be given every opportunity to improve to the required level but if they are unable to meet the expectations of the employer that they may be terminated. Before the end of the probation period a formal interview should be held between the new employee and the employer where their performance over the probation period is discussed and if the performance is below the required standard they may have their employment terminated. Although there is no access to the unfair dismissal protections of the Fair Work Act 2009 if the termination takes place within the minimum service period, other provisions of the FWA may apply such as Section 342 General Protections or Adverse Action, breach of contract or discrimination. These provisions or actions generally are applied where the termination is not handled properly and the employee is not provided with feedback on their performance during the probation period where any deficiencies are clearly defined, and opportunity given for the employee to rectify the areas of concern or where the termination was based on a discriminatory basis such as absence from work due to a temporary illness or injury. The Fair Work Act does not prescribe a probation period in relation to unfair dismissal laws, it refers to a minimum employment period of six months for employers with 15 employees or more and 12 months for 15 employees or less. If the probation period extends beyond the minimum employment period and the employer terminates the employee, the employee would have access to the unfair dismissal laws. Therefore, fixing the probation period to a time within the minimum service requirements is the most common option chosen by employers. BO2, C. (2018). Probations Period Article No.43. Essentials, Leigh’s Corner. Merry Christmas from The Admin Advantage Team!